Thank you to those who have given to Blessed Sacrament’s Glory & Praise initiative. 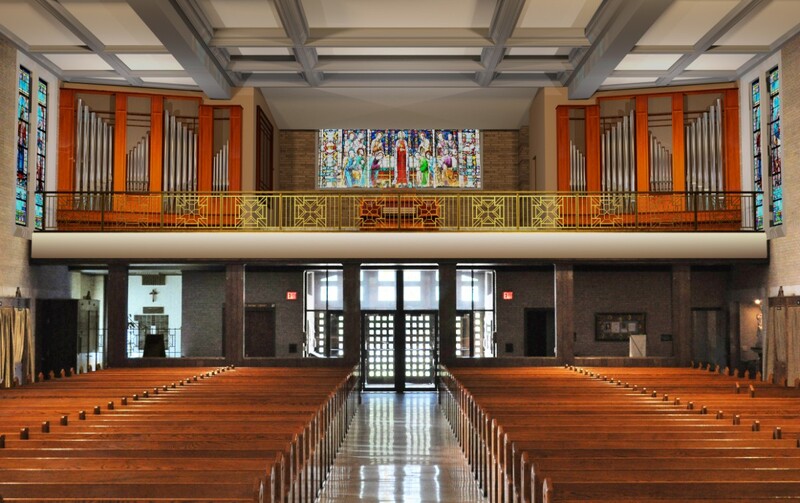 In just a few months, we have received more than $480,000 in donations and/or pledges to enhance our church interior and renovate our organ. Since its founding in 1927, Blessed Sacrament Catholic Church has nourished the lives of thousands of Catholics through our liturgies, the sacraments and dozens of ministries. Located in the heart of College Hill, Blessed Sacrament still flourishes with nearly 1,200 families calling this our spiritual home. Today, we are called to help build upon our rich legacy with an initiative that will address one of our parish priorities - enhancing our Sunday Mass experience. For those who have not yet made a gift or pledge, we ask your prayerful consideration. Your gift of any size to this initiative will be gratefully received. Glory & Praise brochures and pledge cards are available in the church and parish office. Thank you and God bless. 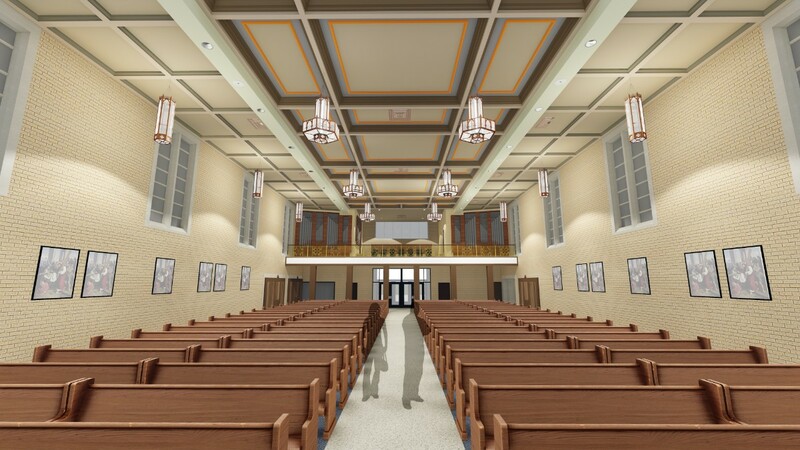 Our decades-old-church ceiling will be renovated with decorative coffered panels that will beautify our surroundings and enhance the quality of our music. New brass railing that mimics the style of the current railing throughout the church will be installed in the front of the choir loft. 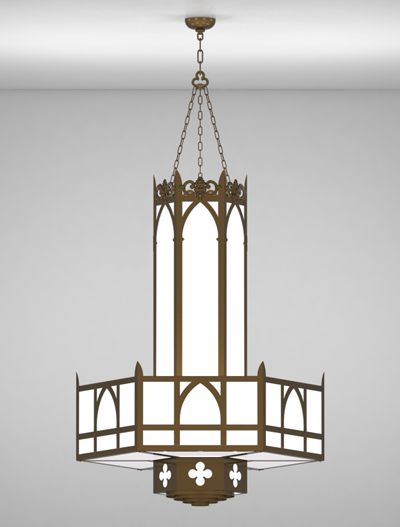 New energy efficient pendant lights will create a brighter space and accentuate the decorative ceiling.